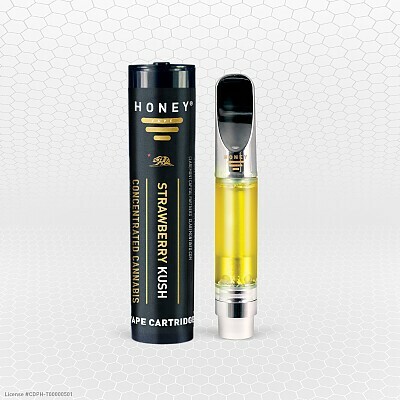 Strawberry Kush by HoneyVape™ hits in the frequency of happiness and uplifting with its characteristic anticipated effects. It may make you feel motivated or creative. 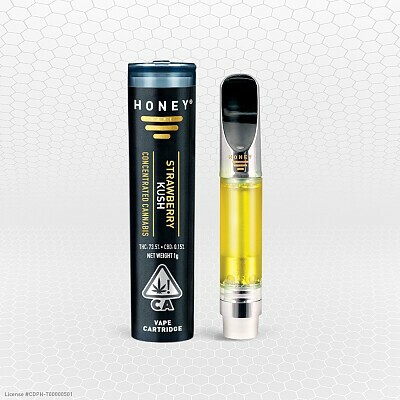 Because of its great taste and flavor, patients tend to sip on this one a little more, so BE WARNED, Strawberry Kush by HoneyVape™ is powerful strain. 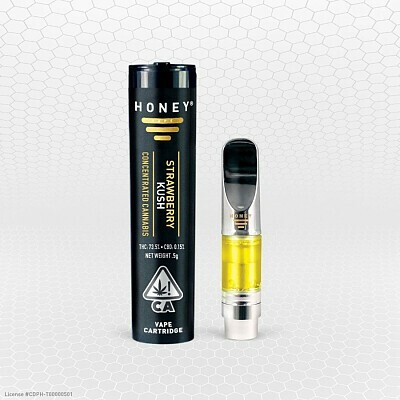 Overuse will lead to narcotic effects.